Approved for VA Education Benefits – Call ‭541-915-5875‬ for more information! 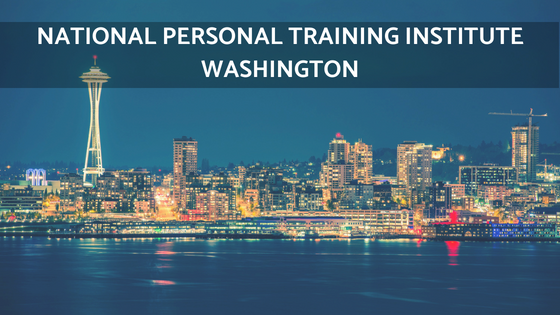 Welcome to the National Personal Training Institute of Washington State where you can get a quality education through hands on experience in the gym. Our students step into the gym with confidence! Whether they are on the path to a better version of themselves, changing the lives of others, or wanting to be at the top of their game in their Fitness Career; we provide the opportunity for education, transformation, and confidence for all. Reach out to the Director, David Delgado, and let him know which class you signed up for so that they can assist in making your journey a personal and successful one. After you get certified online from the National Personal Training Institute Certification Program, or any other Degree or Certification – we will help you find your practical hands-on externship within a gym or trainer of your choice! With National Personal Training Institute’s Online Certification (CPT) you will have the freedom to choose when you study and how you study with online course flexibility. Once you have completed all online requirements you will then receive the best hands-on practice in a gym setting, including kettlebell training, sling training and CPR/AED/First Aid. Our practical program, externships, and workshops allow you to experience firsthand what it’s like to work with a client. This hands-on training is invaluable as you embark on your new career as a certified personal trainer. Our program gives you the knowledge, confidence and resources you’ll need to be the best in this field. Our Level II Integration and Workshops are designed to accompany our online 100-hour Certified Personal Trainer (CPT) Program. However, anyone and everyone can take advantage of our 100-hour hands-on education to take your Fitness Career to the next level. What are you doing to set yourself apart from the rest? We have been training and educating the most sought after and professional trainers for over 20 years. Join the movement!